LANTAC E-BCG Enhanced Bolt Carrier Group. 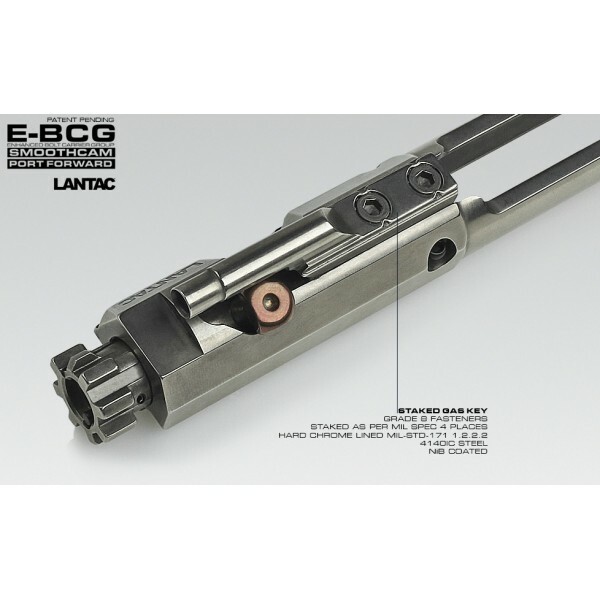 This BCG works in ANY standard AR15 receiver. 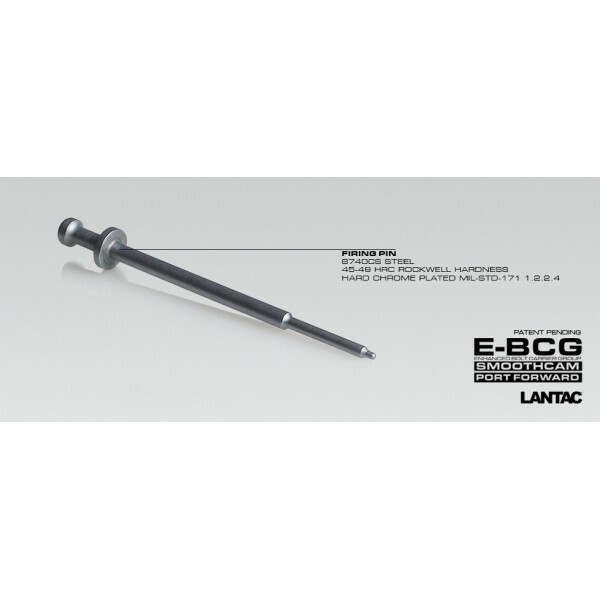 Lantac's new BCG is precision machined from 8620 Steel with a shot peened bolt manufactured from Carpenter 158 and Magnetically Particle Inspected. 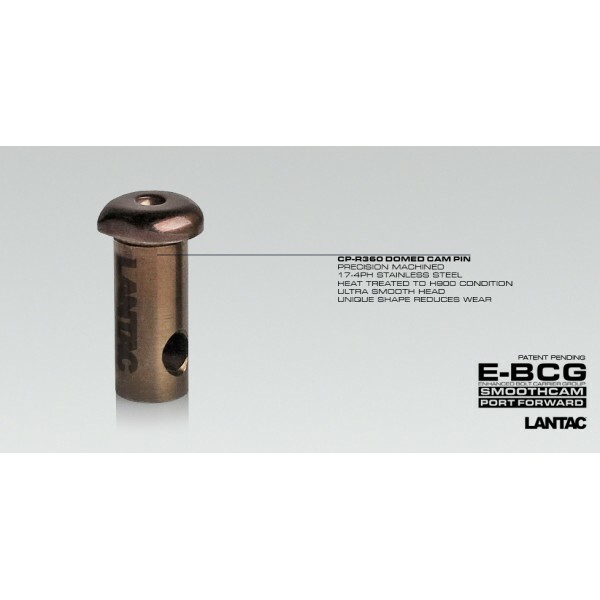 The entire carrier assembly is NiB, Electroless Nickel Boron coated with the patented, advanced UCT EXO process, unlike standard NiB coatings. 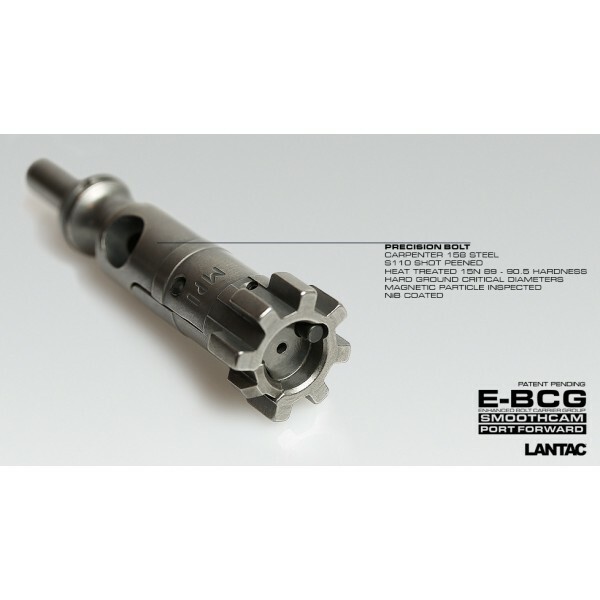 This offers extreme lubricity with a friction coefficent of .02 and surface hardness of 82-85 Rockwell C.
All E-BCG's feature the LANTAC CP-R360 patent pending domed cam pin that is machined from 17-4PH Stainless Steel and hardened to H900 condition (45RC approx). 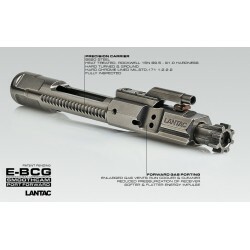 However, it should be noted that the E-BCG is not a complete solution for this issue and all rifles are different. 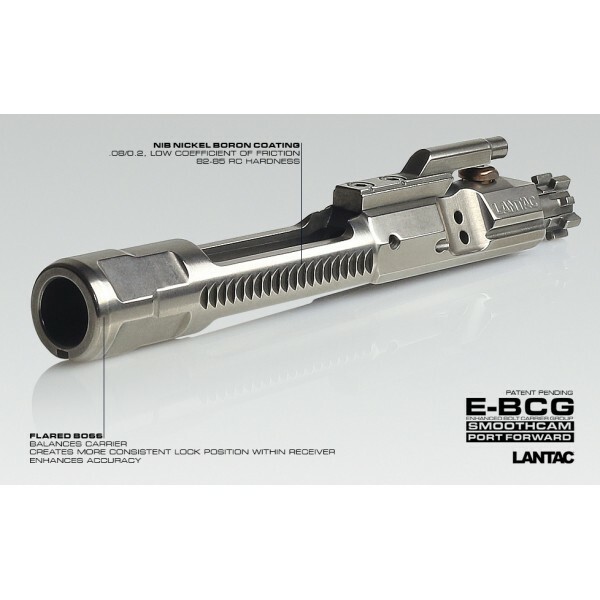 'Over Gassed' guns will suffer to a larger extent from this problem. Purchased one of these and was skeptical of the "runs cleaner" claim but it's real! I think the forward facing gas ports must help with that as it seems to be cleaner than my other NIB BCGs after the same amount of shooting. 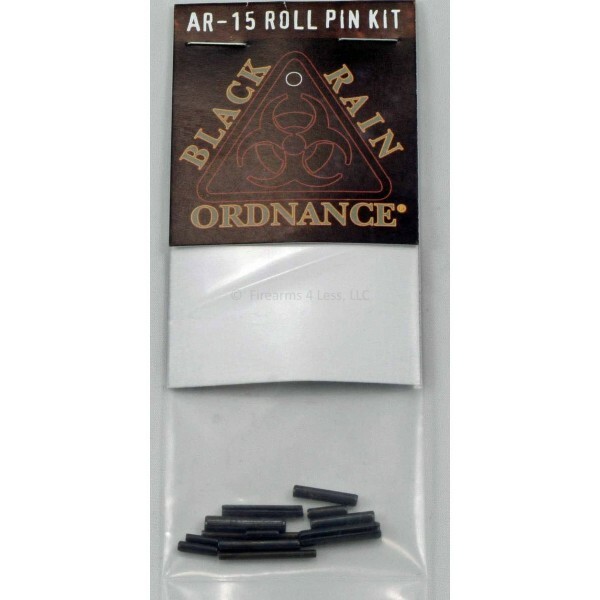 The domed cam pin makes sense too, though I cannot prove it since I'd already used my upper receiver extensively. Great product and delivery was fast. 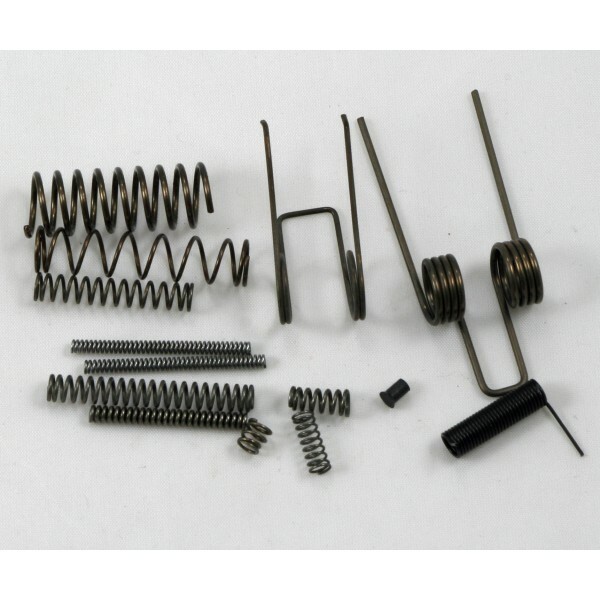 Thanks Firearms 4 Less!